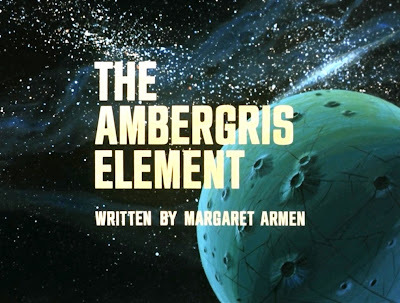 John Kenneth Muir's Reflections on Cult Movies and Classic TV: Saturday Morning Cult-TV Blogging: Star Trek: The Animated Series: "The Ambergris Element"
Saturday Morning Cult-TV Blogging: Star Trek: The Animated Series: "The Ambergris Element"
The U.S.S. 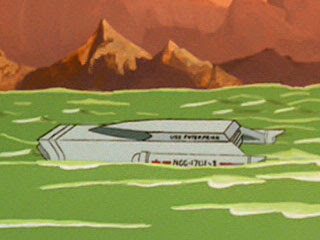 Enterprise conducts research on the world of Argo, a planet covered almost entirely with water. While exploring the planetary ocean aboard an Aqua Shuttle, Kirk and Spock are attacked by a giant aquatic creature which resembles “a Denebian whale.” It destroys the shuttle, and the Captain and First Officer are lost. Dr. McCoy and Scotty search for the missing officers, and after five days recover them in an odd, mutated state. Some alien science of great innovation has converted the men into water-breathers. Gazing at his webbed hands, Kirk realizes that this transition could mean the end of his command. “I can’t command a ship from the inside of an aquarium,” he declares. “The Ambergris Element” showcases a breadth of visual and technological imagination that is very refreshing. 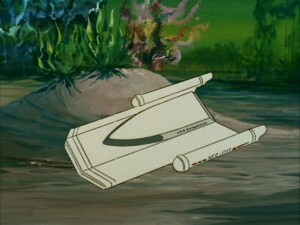 The episode successfully explores the idea of the Enterprise examining a planetary environment and surface that is entirely water, and encountering an aquatic species of high intelligence and technology. This is a concept that could not have been executed on the original series for reasons of practicality and budget, but makes abundant sense in terms of the Trek concept. Accordingly, the episode rolls out nifty new Starfleet tech such as the Enterprise’s aqua shuttle, and even a small motorboat (called a “scouter-gig”). The great aspect of these new vehicles is that they have all been created with tremendous fidelity to the 1960s-style futurism of the original NBC series. In other words, the ships look absolutely convincing, and absolutely “of” the established Star Trek universe. But the idea that I like so much is that the Enterprise -- an exploratory vessel, not a warship -- would indeed be equipped with all the technology necessary to explore worlds of various physical natures and properties, from volcanic ones, to aquatic ones, perhaps even to gas giants. 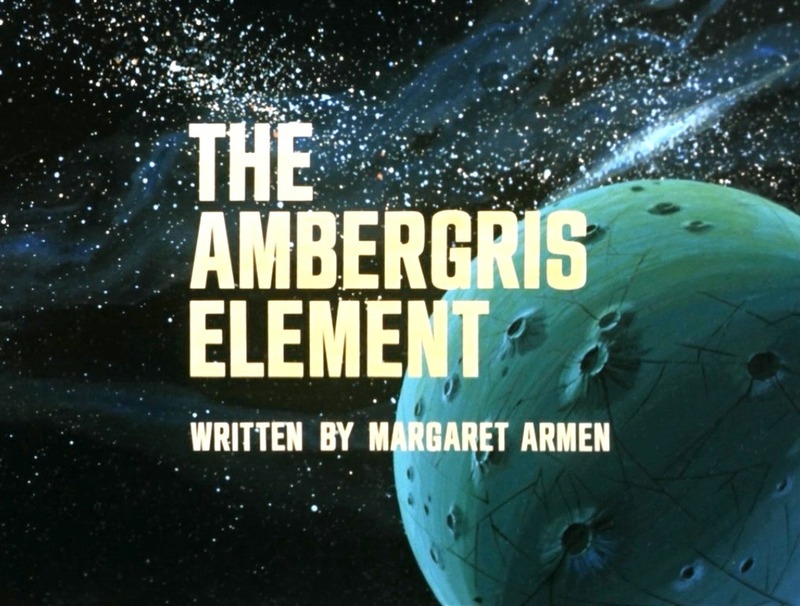 Clearly, animation is a more affordable route if such story ideas are to be pursued, and it’s nice to witness the scope of a tale like “The Ambergris Element.” I guess what I'm saying is that it successfully "expands" the universe of Star Trek in a good way. Less inspiring, to a degree, is the actual storyline of the episode (by original series author, Margaret Armen). We get another splintered alien civilization, where a difference in approach/philosophy is causing trouble, and it’s up to Kirk and Spock to bring peace and new understanding to the planet. 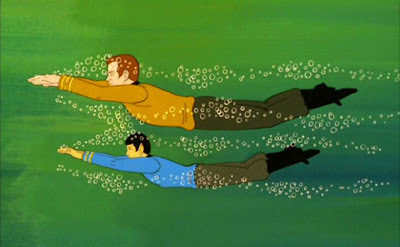 This paradigm is right out of the Star Trek playbook, but the fact that the Argosians are water-breathers living on a water world gives the episode some much needed distinction. Next week: one of the all-time classic animated Trek episodes, and another one that "expands" the universe: “The Slaver Weapon." John perfect review of “The Ambergris Element”. This is one of my favorite episodes of TAS. I enjoyed the actual exploration going on in a realistic way as you stated. Being a major fan of science-fiction production design I loved this episode as a boy because of the use of the Aqua Shuttle and Scouter-gig. Ok, I just checked and the DVD set is only $17 on Amazon. I'm going to buy it so I can see this series again in its entirety. Your reviews brought back childhood memories of seeing it and as a result I've watched a few online. I was kind of afraid that my memories of the show made it seem better than it actually was and that watching it again today it wouldn't hold up, but this series really does seem to have been at least as good as I remember it! I'm also excited that "The Slaver Weapon" is next. 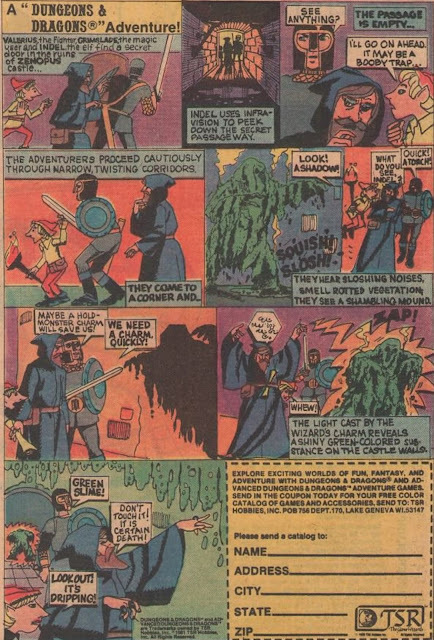 The story that put the Kzinti into the Star Trek universe! I think that Pierson's Puppeteers and Outsiders could have worked well in Star trek too.